Script: A slot machine labeled "California Indian Casinos" appears on-screen, then the camera pans down as the slots stop on "$120,000,000" and the words "Paid for by Californians for Schwarzenegger" appear. Schwarzenegger's voice is heard saying: "Indian casino tribes play money politics in Sacramento: $120 million in the last five years." Then Schwarzenegger, in a beige sport coat and white shirt with no tie, appears on-screen and speaks directly into the camera: "Their casinos make billions, yet they pay no taxes and virtually nothing to the state. Other states require revenue from Indian gaming, but not us. It's time for them to pay their fair share. All the other major candidates take their money and pander to them. I don't play that game. Give me your vote and I guarantee you things will change." Accuracy: The ad is correct in describing the massive role of Indian tribes in state politics. Since 1998, they have spent more than $120 million on California politics, the bulk of it on propositions to make gambling legal on Indian land. They are the largest donors to the recall race. Schwarzenegger has pledged not to take money from the tribes, although he has taken money from other major industries in the state. The tribes are giving money to his two principal recall opponents, Democratic Lt. Gov. Cruz Bustamante and Republican state Sen. Tom McClintock. Gov. Gray Davis also has received tribal money, though some tribes have soured on him. Tribal sovereignty makes them exempt from taxes and most laws. The tribes are obliged to contribute about $130 million from casino profits into two state funds; one of those funds is supposed to ease casinos' effects on state government, but local officials complain that it doesn't begin to cover the effects of such casinos on public services. Schwarzenegger does not say in the ad how, given tribal sovereignty, he could change this system. Analysis: The ad reflects a shift for Schwarzenegger, who has long pledged to run a positive campaign. The candidate and his wife, Maria Shriver, have been described as deeply opposed to negative campaigning, which has been increasingly urged by Schwarzenegger's staff of political professionals. 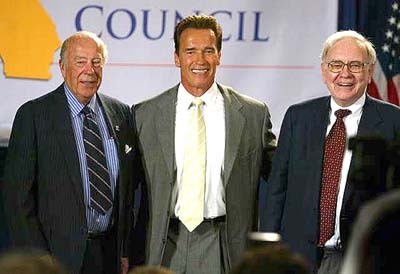 Schwarzenegger has made gibesat Davis, Bustamante and McClintock before, but never in an ad. While politicians often leave negative campaigns to surrogates or, in the case of TV commercials, unseen announcers, Schwarzenegger himself delivers the criticism. That carries risks; while attacks often hurt rivals, they often hurt the poll ratings of the attacker as well. Schwarzenegger opens himself up to criticism that he is hypocritical, having accepted tribal money for his after-school initiative campaign last year. With their casino profits, the tribes are likely to respond with anti-Schwarzenegger ads of their own. Script: An announcer says: "The Indian casino tribes are the most powerful special interest in California. They've spent $120 million on politics in the last five years. The Sacramento Bee reported on Aug. 28 they had a closed door meeting where Davis, Bustamante and McClintock all made promises to them. Only one major candidate didn't go — Arnold Schwarzenegger. The L.A. Times reported on Sept. 20 that casino tribes are spending lavishly in the recall election. $600,000 to McClintock, $5 million for Bustamante, and $400,000 to Davis. Only one major candidate doesn't take their money — Arnold Schwarzenegger." Then Schwarzenegger's voice is heard saying: "Their casinos make billions, yet pay no taxes and virtually nothing to the state. Other states require revenue from Indian gaming, but not us. It's time for them to pay their fair share. All the other major candidates take their money and pander to them. I don't play that game. Give me your vote. I guarantee you things will change." Announcer: "Paid for by Californians for Schwarzenegger." Accuracy: The tribes have spent $120 million in California politics since 1998, most of it to back propositions that legalized casino gambling on Indian reservations. Tribal sovereignty makes the casino profits exempt from federal taxes. Workers at the casinos pay federal income and payroll taxes. The casinos pay about $130 million annually into two state funds, one of which is supposed to cover public costs related to casinos. Localities complain that the funds are insufficient, buttressing Schwarzenegger's argument that the tribes pay "virtually nothing." Other states have negotiated agreements with casino-owning tribes that yield more income for state coffers. Tribal leaders point out that Schwarzenegger took contributions from them for Proposition 49, the ballot proposition he sponsored last year. Analysis: In this ad Schwarzenegger, who pledged to run a positive campaign, furthers an attack on his rivals that could open him to charges of hypocrisy. Although his allegations are factually correct, Schwarzenegger is attacking rivals by name in this ad — his television ad did not name Bustamante, Davis or McClintock. 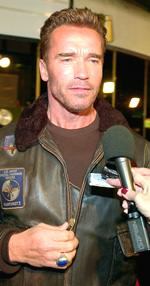 Schwarzenegger has taken money from a variety of business interests, including construction, development, wine, agricultural and movie executives. [T]he ad is not likely to generate the support he has said he wants from tribes. "I want to have their endorsement," he told The San Bernardino Sun. "But I don't want them to pay for it." The ad is not entirely accurate either. While tribes with casinos took in $5 billion last year, they are required to share revenues under compacts signed by Gov. Gray Davis (D) and approved by the federal government. Tribes contribute about $130 million to the state's coffers every year. And while it is true that tribes, as sovereign governments, do not pay taxes, they overwhelming majority of the 600,000 Native Americans in the state pay all state and federal taxes. Very few are exempt from state taxes. Tribally-owned businesses are also required to collect state taxes on the sale of goods to non-Indians. The only exception is for services and products generated entirely on the reservation, a position recognized by the state after it was faced with losing a court case brought by the Agua Caliente Band of Cahuilla Indians. Schwarzenegger vowed at a press conference last month that "I will never attack, I will never talk about anyone." His shift from positive to negative campaign advertising comes as poll numbers show his campaign failing to make significant gains with voters. A Davis spokesman called the tactic "sad." Bustamante dismissed the tribal ad as a last-minute attack and tribal leaders reacted with anger to the spot. "An ad of this sort is an act of desperation by Arnold and it's clearly being orchestrated by Pete Wilson and his cohorts from his days as governor. It smacks of the politics of evil that were indicative of Pete Wilson," said Mark Macarro, chairman of the Pechanga Band of Luiseno Mission Indians, which has donated more than $500,000 to Bustamante. * Tribal government gaming employs over 50,000 people in California. * Indian gaming is the only job sector posting double digit growth in the last 6 mos. * It's axiomatic that governments cannot tax other governments; voluntary revenue sharing is possible. It's unsettling to think that someone as ignorant as Arnold demonstrates with this ad is running for Governor. SACRAMENTO, Calif., Sept. 23 /PRNewswire/ — Tribal casinos are government enterprises, similar to state lotteries, municipal and county airports and hospitals and other revenue generating government activities, and as such are not required by law to pay taxes. Yet virtually all revenues from tribal government casinos are used to provide government services for tribal members. Film actor Arnold Schwarzenegger, a Republican candidate in the Oct. 7 recall election in California, ignores these basic facts in a television advertisement that began running statewide on Monday afternoon. "Mr. Schwarzenegger's misstatements come as no surprise to those who have been following his campaign," Brenda Soulliere, chairwoman for the California Nations Indian Gaming Association, said Tuesday. "But his erroneous remarks, which exhibit a complete and almost frightening lack of understanding of the legal status of Indians and tribal governments, are hurtful to California's more than 300,000 Native Americans." Schwarzenegger says in his television advertisement, "Their casinos make billions, yet pay no taxes and virtually nothing to the state." As government operations, tribal gaming revenues are not taxed by other governments. However, revenues from tribal government casinos are essentially taxed at a rate of 100 percent, with all revenues providing for the welfare of tribal members. In addition, some 41,200 employees working at tribal gaming facilities pay more than $280 million a year in federal income and payroll taxes. Ninety percent of tribal government workers in California are non-Indians. Only enrolled tribal members living and working on their own reservations are exempt from paying state payroll taxes. Indians living off the reservation pay the same property, sales and other taxes that all Californians do. "California state government does not pay taxes. Its citizens do," said CNIGA Executive Director Jacob Coin. "Indian governments also do not pay taxes. Indians do." That statement is false. As a result of tribal-state compacts approved by the California Legislature, tribes pay more than $100 million a year into a fund established to pay for the impact of gaming on local communities. Script: Mark Macarro, above, tribal chairman of the Pechanga Band of Luiseno Mission Indians, which operates a large hotel-casino in Temecula, is seen speaking outdoors facing the camera as upbeat music plays in the background. "Southern California tribes have begun to take their legal place in a political process that we've been barred from for so long. During our long battle, some elected officials have listened to our plight and have helped us," Macarro says. "Now we are able to help them in return," he continues. "But as so many politicians have done before, Mr. Schwarzenegger has chosen to condemn our participation for his own political ends. We ask you to reject his untruthful attack and continue to support our legal rights and active citizenship. Thank you." Accuracy: This ad is a response to a series of television commercials by Arnold Schwarzenegger that feature a spinning slot machine. In those ads, Schwarzenegger says Indian tribes have spent $120 million trying to influence California politics, accuses other candidates of "pandering" to the Indians and says that tribes that own casinos are not paying "their fair share" to the state. Whether those charges are an "untruthful attack" as this ad says is a matter of interpretation. A number of tribes have become very active players in California politics. Altogether, Indian tribes have spent more than $11 million to support Lt. Gov. Cruz Bustamante and state Sen. Tom McClintock in the recall campaign and, to a much smaller degree, Gov. Gray Davis. The amount that tribes pay the state is set by agreements called compacts that are negotiated. California's compacts, negotiated after voters overwhelmingly approved an initiative to allow casinos on reservations, do not require Indian casinos to give money to the state's general fund as some tribal casinos in other states do. . Analysis: The Pechanga and other tribes were angered by Schwarzenegger's critical advertisements. Who the next governor is matters to the tribes in part because compacts limit major tribes to a maximum of 2,000 slot machines. The Pechanga Band wants the number of slot machines to be determined by market demand, not imposed by state government. Schwarzenegger and Davis have both said that in return for expansion, they would insist that the tribes share revenue with the state. Bustamante and McClintock oppose that position. At a powwow that draws Indians from across the country, casino gambling and its recall ramifications are hot topics. Waiting her turn to join in the traditional dancing was Elizabeth Kolb, 21, a member of the Rincon Band of Luiseno Indians, which has a casino in northern San Diego County. She was mad at Arnold Schwarzenegger, who called in a recent ad for the taxing of gambling revenues from casinos. "I don't think we should pay more to have the gambling," she said. "Our land was taken from us. Now we're getting something back and they're trying to take it from us." Many Indians in attendance spoke frankly about gambling, the recall candidates and the large campaign contributions that some tribes are making. Last week, for example, the Morongo Band gave $2 million to an effort on behalf of Tom McClintock's campaign for governor. While Indians spoke with pride of their newfound influence on state politics, many also said they felt the sting of what they believe are unfair criticisms of the tribes. Particularly irksome, many Indians said, is the accusation that they are not paying their fair share of taxes. Some contended that it has long been the American way to use money, and lots of it if you have it, to stand up for what you believe in. Jerry Cleveland Jr., 35, a Hochunk Indian from Wisconsin, said he was astonished when he arrived in California earlier this week and flipped on a TV, only to be greeted by the Schwarzenegger ad. "He's not paying us anything, so why should we pay him?" asked Cleveland, pausing to have his photo taken with tourists. He half-smiled, then added: "How would Schwarzenegger like it if we took his house and land away and killed his family? Well that's what happened to us." Arnold Schwarzenegger's hypocritical political commercials attacking California gaming Tribes are examples of "wedge issue" politics at their ugliest and most ignorant. Mr. Schwarzenegger says we contribute nothing to California. In fact, gaming Tribes provide good-paying jobs for over 41,000 California workers. Our Tribe alone pays $66 million in salaries every year. We pay over $9 million in employee benefits and $36 million in state and federal taxes annually. In addition, California Tribes pay $150 million into two state funds each year for local infrastructure improvements and for the non-gaming Tribes. We contribute millions more to local infrastructure projects directly, and donate millions to public service. We pay for our own police and fire protection, and for other services government has never provided us. The state of California provides nothing to the Indian reservations and yet we still share our resources with the local governments, because we know what it means to be good neighbors. Throughout our history we have been exploited. We have and are "paying our fair share," Mr. Schwarzenegger — many times over. We also use our earnings to educate, house and provide medical care for our people, removing thousands from the welfare rolls. When Mr. Schwarzenegger "pandered" to the Tribes for his Proposition 49 campaign last year, Tribes gave thousands. Tribal gaming money was good enough for him then, but now that we believe other candidates are better qualified to lead California, he says we have no right to participate in the process. In spite of what he says in his commercials that are paid for by "special interest groups," we have followed all of the rules and will continue to do so. On behalf of my ancestors who have lived here since time immemorial, we find Mr. Schwarzenegger's hypocrisy shameful. Mr. Schwarzenegger said it's time for tribes to pay their fair share. Fact: The tribal-state gaming compacts require California tribes to pay their fair share. In fact, more than $100 million a year goes into a fund established to pay for the impact of gaming on local communities. In addition, each individual gaming tribe provides funds for its local community. The Santa Ynez Band of Chumash Indians, for example, has provided $5.5 million in donations to organizations in Santa Barbara County over the past several years. More cries for a "fair share"
"If Schwarzenegger wins, I think there will be hell to pay." So predicted attorney Howard Dickstein, who represents several of the state's most successful gaming tribes, including Pala of North County. His broadside came just before California voters dumped Gov. 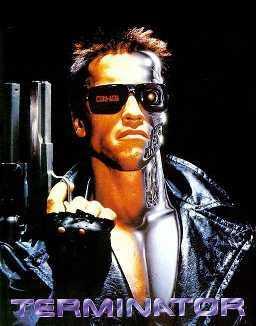 Gray Davis and replaced him with Arnold Schwarzenegger. Dickstein's hyperbole aside, the tribes would serve the interests of all Californians by paying their fair share of taxes on the $5 billion their 53 casinos are believed to rake in each year on slot machines alone. Never mind the hefty profits from tribal-owned hotels, resorts, restaurants and table games. Several of the governor-elect's 10 steps — "repeal the car tax," "pass a jobs package," "put more money into the classroom" — would actually increase the state's budget deficit. Others — "audit the budget," "renegotiate state employee union contracts," "streamline bureaucracy" — are such vague and fuzzy deficit-cutting notions as to be almost meaningless. But one, and only one, of his 10 steps could make a clear, and sizable, dent in the deficit. It is step four: "Get our fair share of Indian gaming revenue." Here's a good response to those who think California's Indians don't pay their fair share. Give them 60% of the state, as agreed upon originally, and I bet they'll call it even. "This was tribal land going back thousands of years," said Mr Milanovich, whose mother was a tribe member, and father a Yugoslavian immigrant. "We know from our oral history, our birdsong, that we as a tribe have been here for 500 years." The peace treaties made in 1848, when the scalp bounty was enacted, granted the tribes 60% of the state's land, he said, but were never recognised by the state government and had only recently been re-examined. But the financial muscle gained through gaming revenues had finally changed how the tribes were regarded.